At the beginning of the twenty-first century the biggest challenge high-tech companies face is how to innovate effectively. 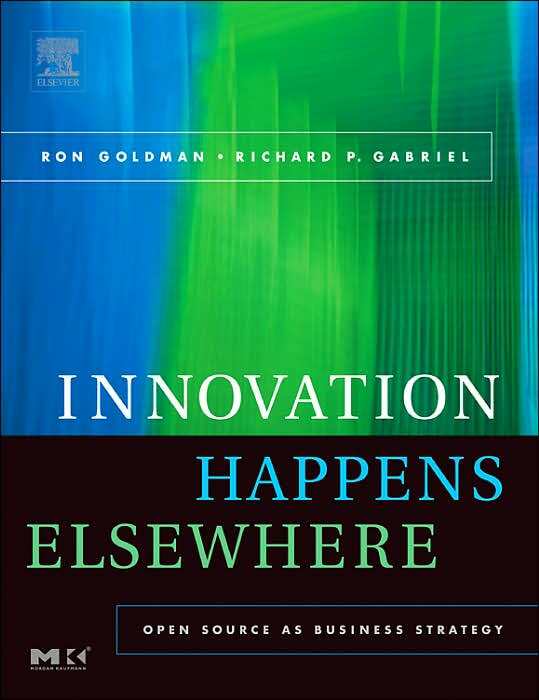 Effective innovation is finding the right innovations to invest in to make a good profit. To many, open source is about Linux and a few other software systems and how to use them to make an inexpensive backroom. But open source is also a practice and a tool for encouraging and harvesting innovations. Open source is a way for companies to engage in highly effective marketing--both in the sense of marketing a company, software, and brand, and in the sense of finding out what products and product features to build. Like any engine, an open-source innovation engine requires design, engineering, tuning, and maintenance. But to do those things requires understanding the science behind the machine. This is called "innovation happens elsewhere." Can the Commons Make a Difference? Send your comments to us at IHE at dreamsongs.com.